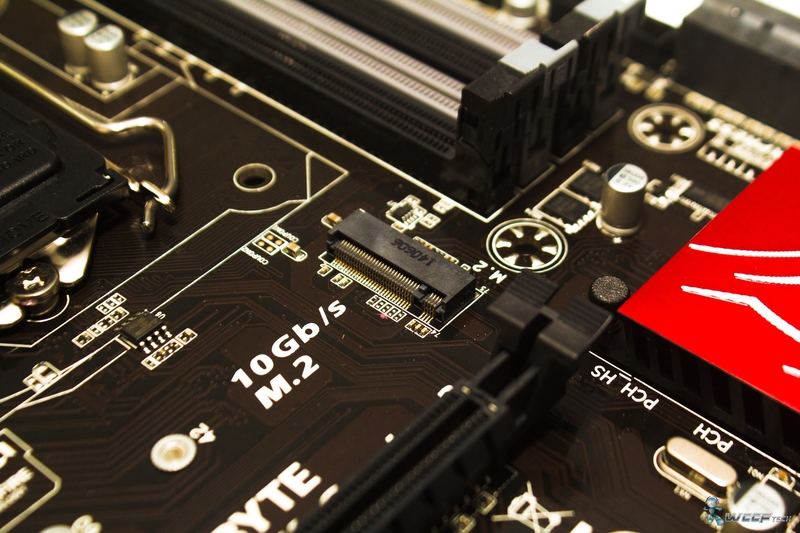 With over 20 million motherboard shipments over the last year, we are talking about the one and only, Gigabyte. Founded in 1986, Gigabyte has become the pioneer of the motherboard industry with a large lineup of products that not only include boards but All-In-Ones, Laptops, Tablets and Gaming Peripherals. 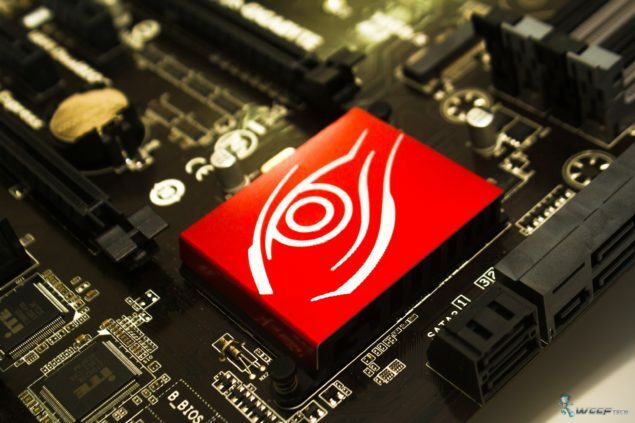 As of 2013, the company matches ASUS as the vendor with most shipments of boards giving an idea of the company’s growth in the current year. 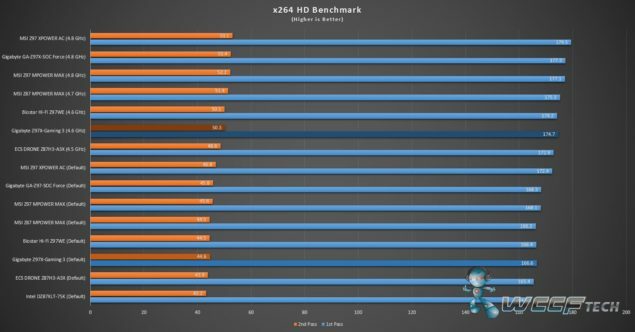 With the launch of Intel’s Haswell platform, Gigabyte launched four tiers of lineups for their motherboards -Gaming/Overclocking/Ultra Durable/Black Edition (BK). Each lineup is built for a specific range of consumers. With the 9-Series chipset, Gigabyte is expanding their motherboard line with new products, one of which will be detailed in this review. 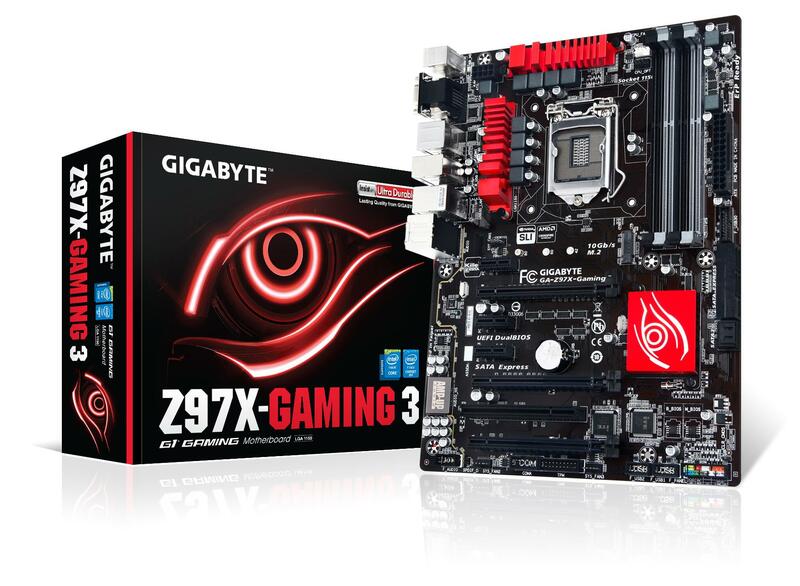 Today, we will be taking a look at the entry level Gigabyte Z97X-Gaming 3 motherboard which is part of the G1 Gaming lineup which is aimed towards the gaming and mainstream audience. You will find some useful features like Killer LAN and Audio chipsets on this board due to its line positioning but comes at a low cost of $132.99 US which is the affordable range for any budget user. But before we talk about the board itself, let’s take a look at the new chipset and socket which support the latest Haswell processors. 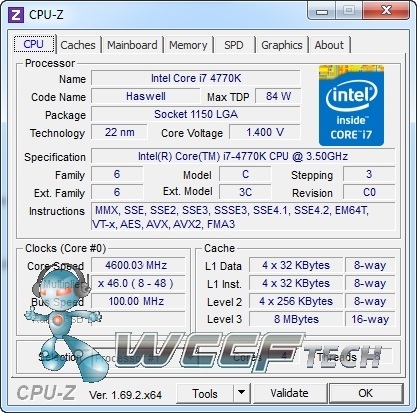 The Intel LGA 1150 was first introduced during the launch of Intel’s 8-Series platform (Haswell and Z87 Express chipset). As denoted by its name, the LGA 1150 has 5 less pins compared to the LGA 1155 socket which supports Ivy Bridge and Sandy Bridge processors. The LGA 1150 socket will be featured on the 9-Series chipset motherboards and will extend support to new CPUs which include Haswell Refresh, Devil’s Canyon (Haswell Refresh K-Series) and Broadwell. Broadwell, which is the codename for Intel’s next generation 14nm processor is planned for launch in 2015 for desktop PCs. The socket on 9-Series chipset boards will also feature support for all existing Haswell processors which will provide current user with an easy upgrade path over the new series. 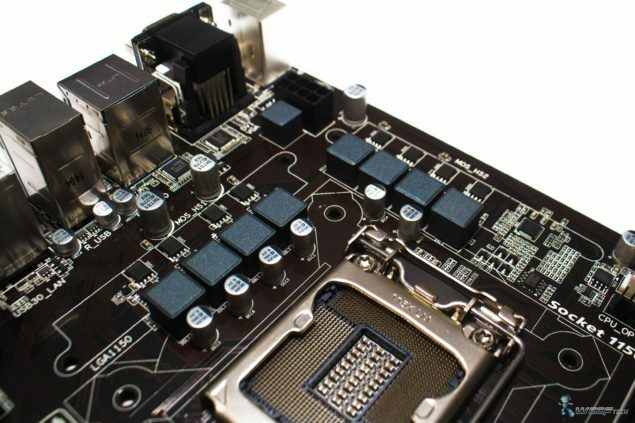 Intel did one thing right with the new socket and that’s the socket positioning which allows LGA 1155 socket coolers and mounting brackets to remain compatible with the newer socket. So if you have a old LGA 1155 socket cooler that you wish to use with the new LGA 1150 socket? 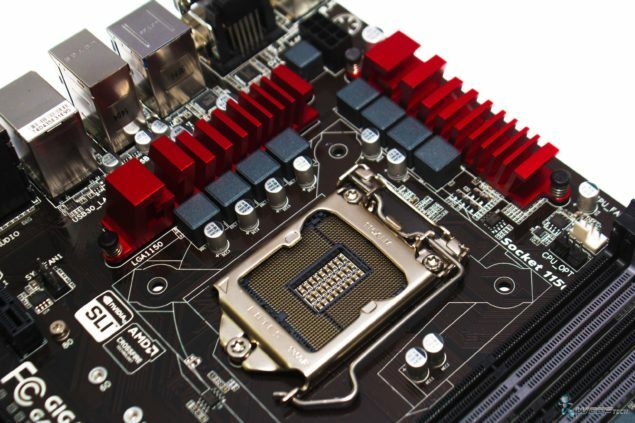 It could be done so, but do note that while the socket looks the same as LGA 1155 socket, the processors are incompatible due to different pin layout so you don’t want to try putting an Ivy Bridge or Sandy Bridge processor into the LGA 1150 socket otherwise it would damage the pins permanently. The main feature of the Intel 9-Series chipset is support for Intel’s Haswell Refresh and Broadwell processors which means that the new Z97 and H97 will have higher longevity. Aside from that, there’s also PCIe M.2 slot storage support which is 67% faster than SATA Gen 3 (6 GB/s) and its speeds matches SATA Express which are rated at 10 GB/s. Various motherboards have also included M.2 Ultra and SATA Express ports which give user more accessibility. The Z97 chipset will remain as Intel’s high-end mainstream offering while the enthusiast platform will be updated with the X99 chipset in Q3 2014. It should be noted that due to improvements in 4th and 5th generation core processor power efficiency, the requirements for the processor’s power supply have also been altered. 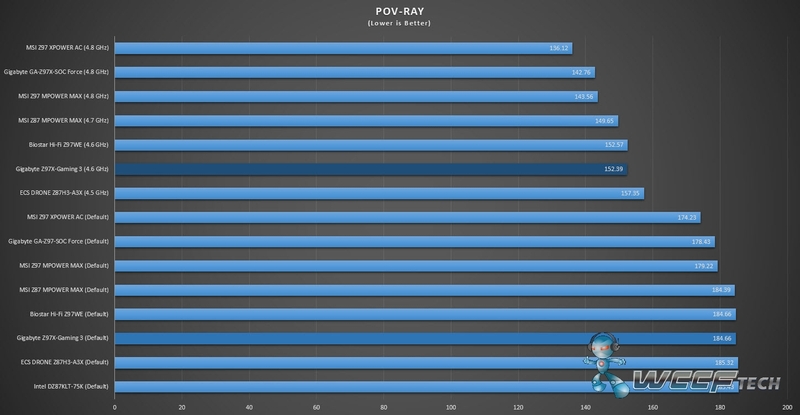 Intel recommends that the users running the Haswell Refresh CPU platform check the list of tested PSUs for ones capable of supporting the latest Intel Core processors. 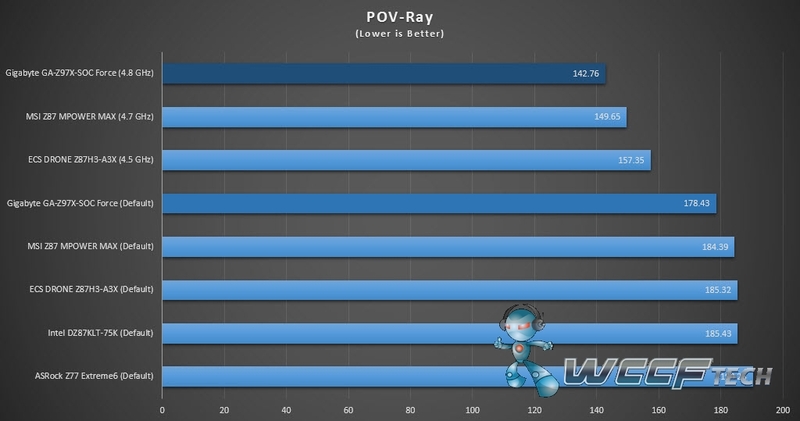 The list can be found at: http://www,intel.com/go/powersupplies/.From the filters at the top right of the page, set 12V2 Min Load 0A to “Yes” to see which PSUs have been found to support the processor’s new power requirements. To make use of the power supplies that meet the 12V2 Min Load 0A, you have to enable the “Lowest CPU Idle power setting”. This option is located under the power tab section and you must set the “Intel Dynamic Power technology” to custom in the primary power settings section in supplied UEFI BIOS on the motherboard. Gigabyte initiated their G1 Gaming series brand with the arrival of the Z68 chipset during the Sandy Bridge generation of processors. The G1 Gaming brand which initially featured three motherboards; Killer/Sniper/Guerrilla has now expanded into a wider variety with the introduction of Z97 chipset. 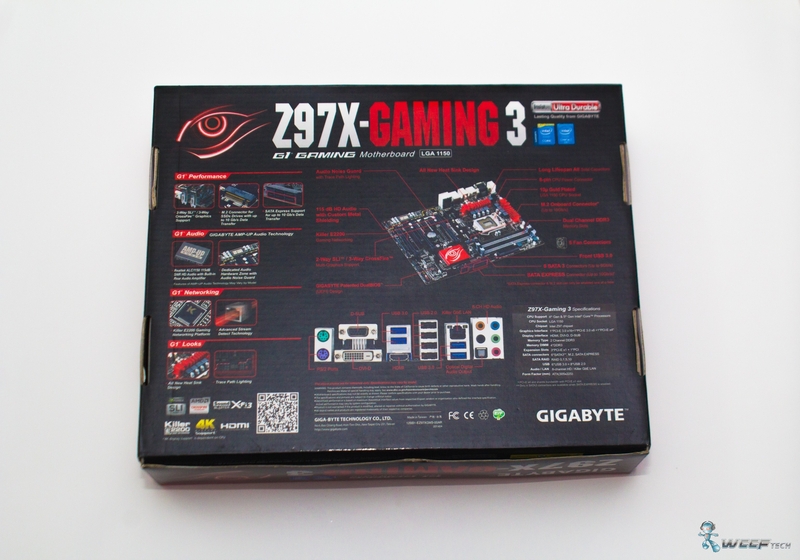 The Gigabyte Z97X-Gaming 3 motherboard which we received is the entry level G1 Gaming motherboard. From the looks and the features it boasts, it can be pointed out that GIgabyte had to tone down the design scheme to offer a cost effective motherboard while retaining the most basic features of their G1 Series products. The G1 Gaming 3 is geared towards gamers who want the best stability and useful features like faster LAN and better audio at a low-cost which can support the latest processors and adds in the ability to overclock on a Z97 chipset optimized motherboard. You can check out the features, unboxing, accessories and testing results below for the Gigabyte Z97X-Gaming 3 Motherboard. The Gigabyte Z97X-Gaming 3 is fully optimized for gamers and mainstream users as seen from its design. All of the features have been provided in the following chart, do take a look before we head on to much more detailed overview of these features. GIGABYTE G1 Gaming motherboards are equipped with the GIGABYTE exclusive AMP-UP Audio Technology, which provides the industry’s highest level of onboard audio features and technologies. With GIGABYTE AMP-UP Audio, gamers and audiophiles are able to experience crisp, ultra realistic sound effects while gaming, and the richest possible sound experience when listening to their favorite music and movies. The ALC1150 is a high-performance multi-channel High Definition Audio Codec that delivers an exceptional audio listening experience with up to 115dB SNR, ensuring users get the best possible audio quality from their PC. Specially designed for gamers, GIGABYTE motherboards utilize a high-capacity amplifier which is able to drive 600Ω loads, giving gamers a fuller range of dynamic sound with crisper details and less distortion when using high quality professional headphones. 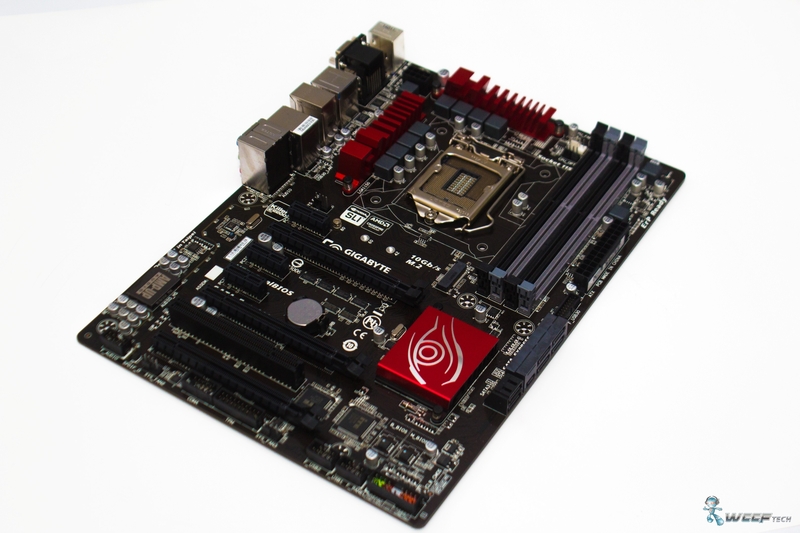 GIGABYTE G1 Gaming motherboards also include Sound Blaster X-Fi MB3 software suite. Sound Blaster X-Fi MB3 software suite is a powerful audio platform offering premium audio quality, effects and features for gamers. It features SBX Pro Studio suite of technologies, which is designed to give you the fullest audio experience. + Separation on the PCB layer protects the board’s sensitive analog audio components. + LED trace path lighting illuminates to show the separation of the PCB layers. 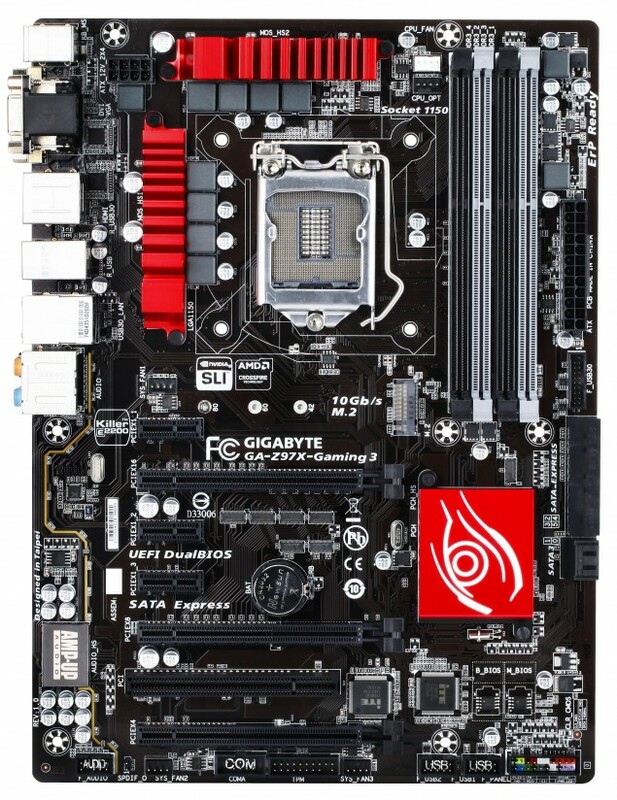 Locating the right and left audio channels on separate PCB layers, GIGABYTE 9 Series G1 gaming motherboards are able to eliminate channel crosstalk and maintain the best audio quality. 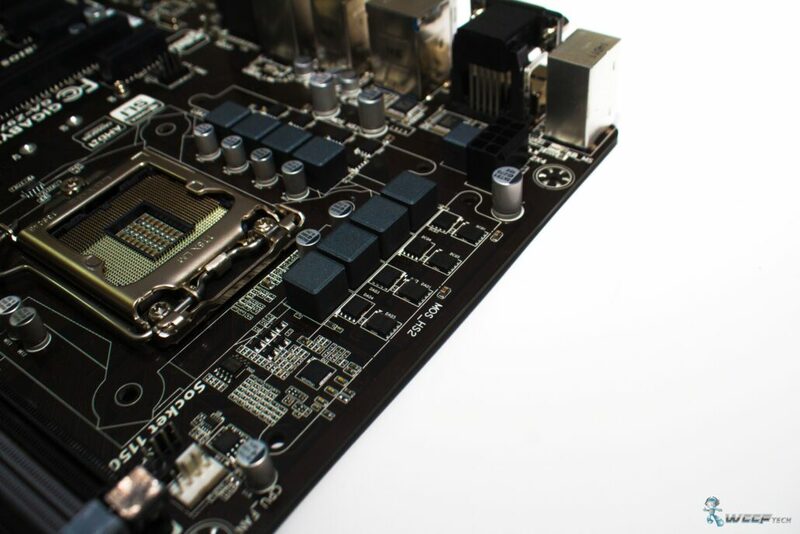 GIGABYTE G1 Gaming motherboards feature the Killer E2200 from Qualcomm Atheros, a high-performance, adaptive gigabit Ethernet controller that offers better online gaming and online media performance compared to standard solutions. Flexible graphics capabilities supported for either 3-Way CrossFire or 2-Way SLI action, delivering the ultimate in graphics performance for gaming enthusiasts who demand the highest frame rates without compromising on resolution. GIGABYTE motherboards feature an onboard SATA Express connector which provides performance far superior to that of current SATA technologies. SATA Express features data transfer rates of up to 10Gb/s, considerably higher than SATA Revision 3 (6Gb/s), which won’t bottleneck faster NAND flash technologies in cutting edge SSDs. 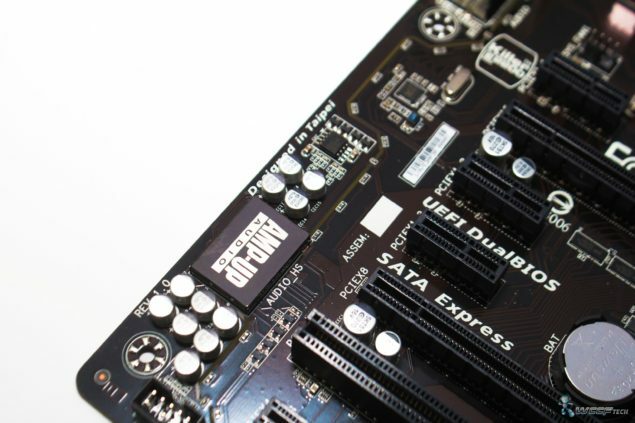 SATA Express combines the benefits of PCI-Express and SATA to provide much higher bandwidth, allowing SATA Express based drives to perform at similar speeds as PCI-Express based drives. GIGABYTE APP Center gives you easy access to wealth of GIGABYTE apps that help you get the most from your GIGABYTE motherboard. Using a simple, unified user interface, GIGABYTE APP Center allows you to launch all GIGABYTE apps installed on your system. GIGABYTE’s EasyTune is a simple and easy-to-use interface that allows users to fine-tune their system settings or adjust system and memory clocks and voltages in a Windows environment.With Smart Quick Boost, one click is all it takes to automatically overclock your system, giving an added performance boost when you need it the most. GIGABYTE Cloud Station is composed of several GIGABYTE’s unique apps that allow your smart phones/tablet device to communicate, share resources, and control desktop PCs via wireless connection. 4K resolution is the next technological milestone in high-definition content delivery, utilizing approximately 4,000 pixels on the horizontal axis, more than four times today’s standard HD pixel density. 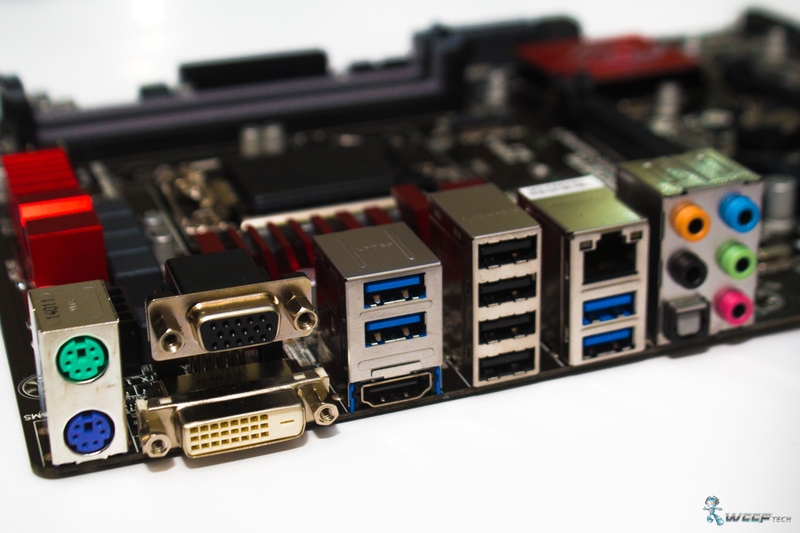 GIGABYTE motherboards provide native 4K support with integrated Intel HD Graphics via HDMI. Many of today’s 3rd party water cooling systems require CPU fan power support for both the cooling fan and the water pump. 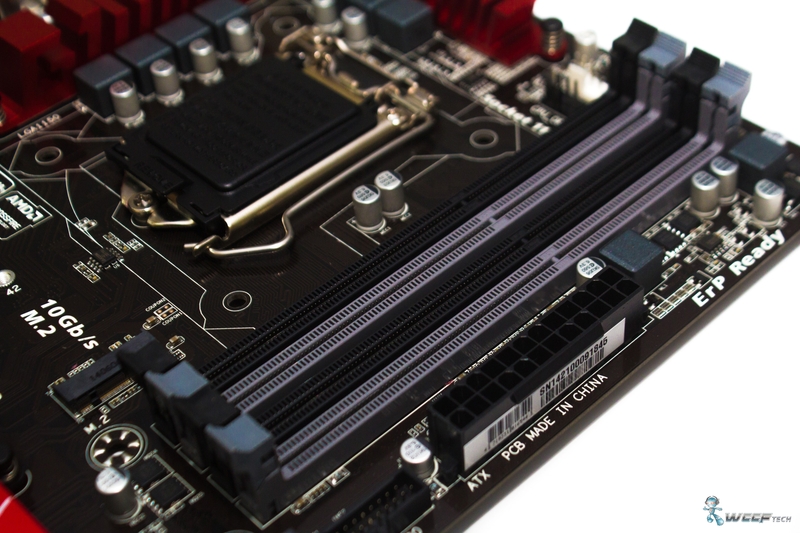 GIGABYTE 9 Series motherboards feature OPT fan support, an additional CPU fan pin header that can be used to connect a water pump and configured for continuous full speed operation. The OPT Fan is also useful for high performance coolers employing two fans. The Gigabyte Z97X-Gaming 3 motherboard comes inside a regular boxed package which sticks with the red and black color scheme. 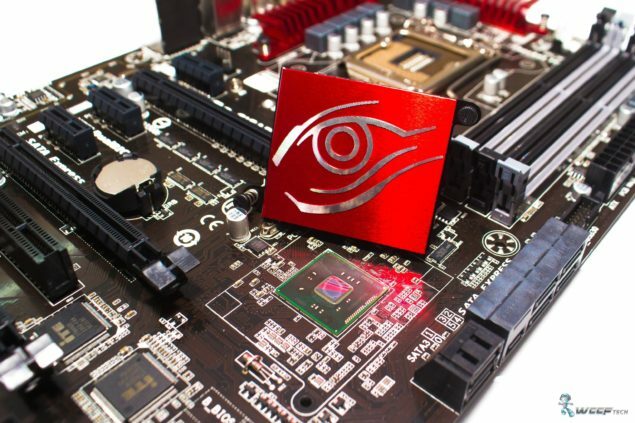 I am surprised that several major manufacturer’s have used the red and black color scheme for their Gaming series motherboards. 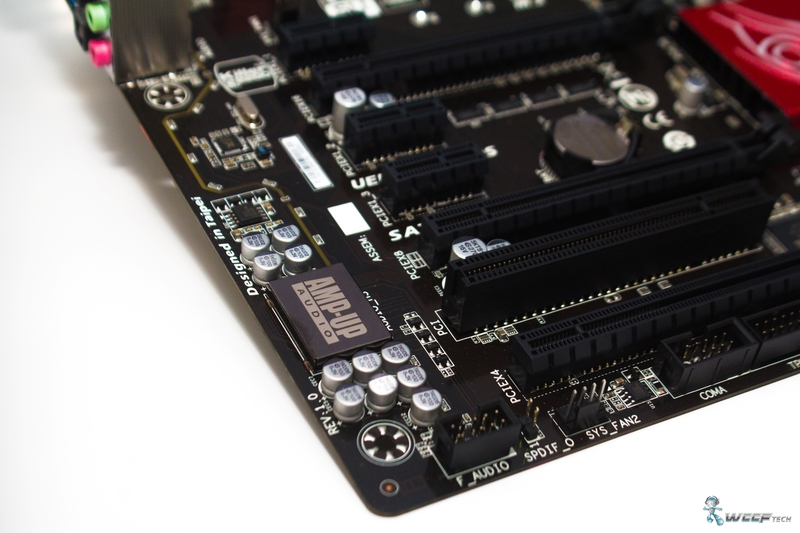 While the color scheme is same for the gaming series boards across the various companies, they do use different design schemes which avoids from issues with the other brands. At the front, we can spot a large robotic eye which is the official logo for Gigabyte products and is somewhat related to the terminator too (Just Joking). The G1 Gaming series brand is clearly mention and the motherboard supports the latest Core processors from Intel. The back of the box is where all the juicy specifications and details are mentioned. 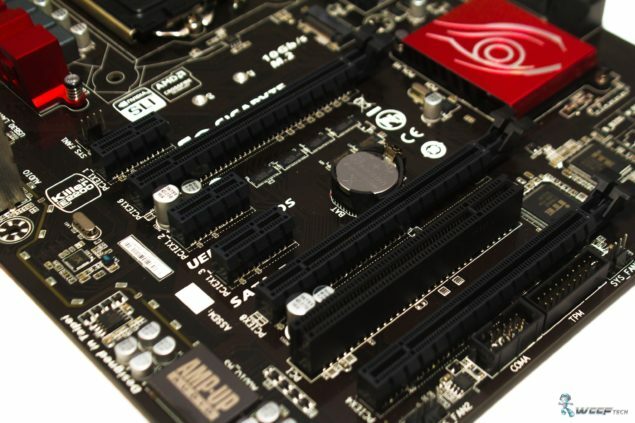 Although majority of these are used for marketing, they do offer users an insight on the various features of the motherboard and the labeled motherboard map provided on the back by Gigabyte is very useful. There’s also details regarding the G1 Gaming features which include G1. Audio, G1. Networking, G1. Looks and G1. Performance, call these the four basic pillars of what makes a G1 Gaming Series a brand for gamers. We will detail the accessories later, for now we take a look at the Z97X-Gaming 3 which looks neat and simplistic. 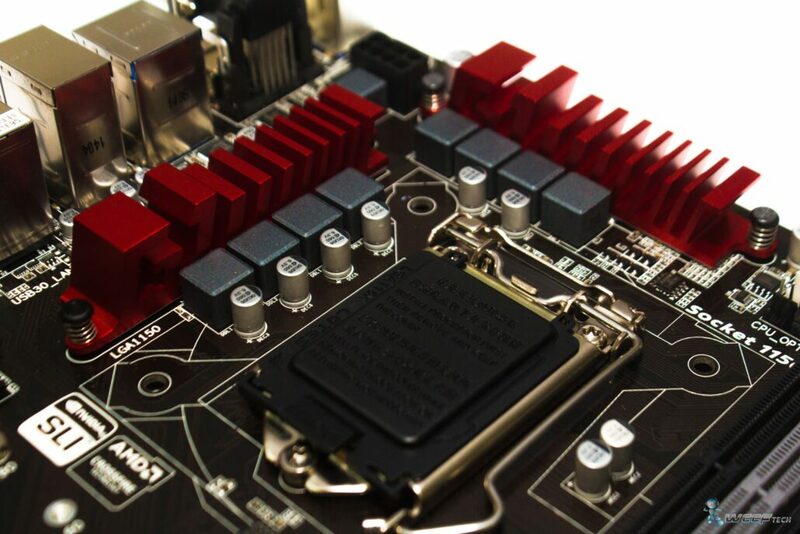 We have the motherboard out of the box, now its time to take a closer look at it so head on to the following paragraph. 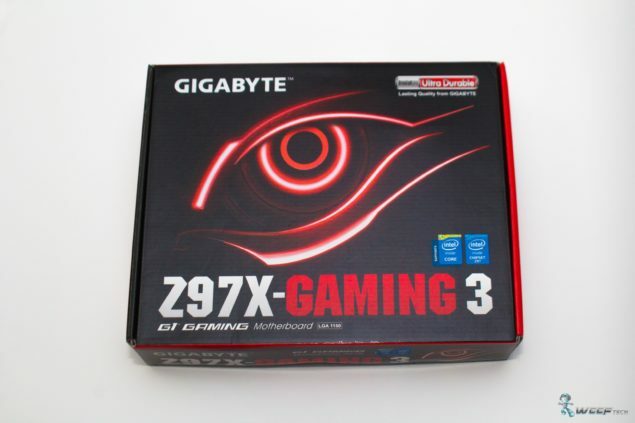 Gigabyte’s G1 Z97X-Gaming 3 comes with the LGA 1150 socket which supports Intel’s Haswell, Haswell Refresh, Devil’s Canyon and Broadwell processors. The socket is powered by a single 8-PIN connector while the ATX 24-Pin connector supplies power to the rest of the motherboard. The socket is 5x (15μ) Gold Plated CPU which adds in stability and uninterrupted power transfer to the processor. The VRM and PCH are cooled by three sets of heatsinks which feature the red and black color scheme. 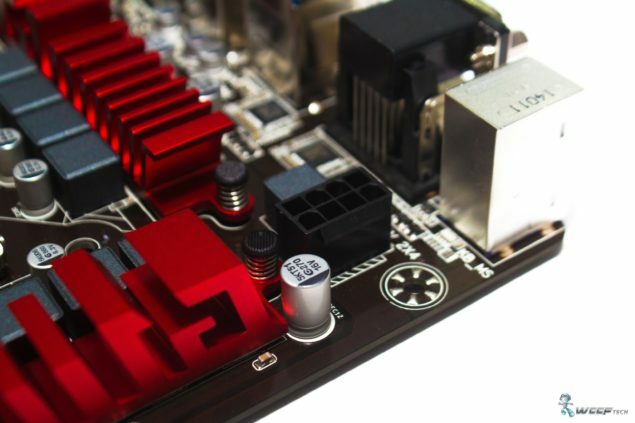 Based on aluminum, the VRM heatsinks offer limited cooling while the PCH heatsink is a bit bulky, covering more space. 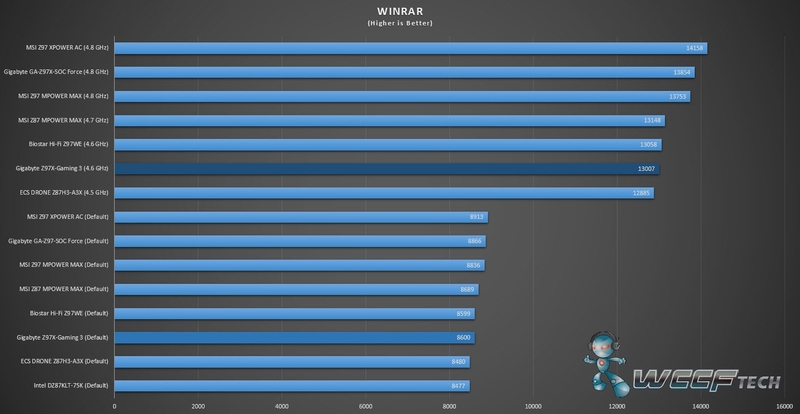 It should be noted that the motherboard is not geared for overclocking but optimized for gaming but can support a decent amount of overclocking thanks to the Ultra Durable 5 components. 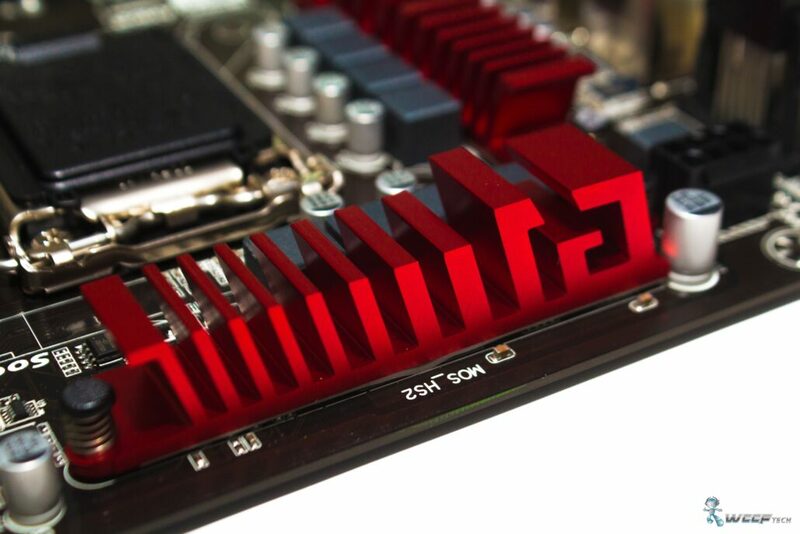 The VRM heatsinks feature the G1 label which is a nice implementation for a low-cost motherboard. As you can note, the heatsink is set in place through two push-and-pull screws. The area beneath the heatsink has adhesive paste which makes contact with the VRMs so that heat can be transferred on the heatsinks and cooled by case fans cooling. Four DDR3 DIMMs offer dual channel memory support with capacity of up to 32 GB. Two slots are colored silver while the remaining two are colored black giving a nice touch to the motherboard’s aesthetics. The motherboard supports speeds of up to DDR3 3200(O.C.) / 3100(O.C.) / 3000(O.C.) / 2933(O.C.) / 2800(O.C.) / 2666(O.C.) / 2600(O.C.) / 2500(O.C.) / 2400(O.C.) / 2200(O.C.) / 2133(O.C.) / 2000(O.C.) / 1866(O.C.) / 1800(O.C.) 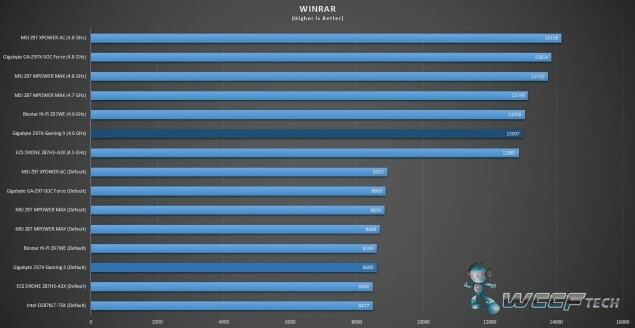 / 1600 / 1333 MHz memory modules which is more than impressive for a mainstream motherboard. For storage, the motherboard comes with six SATA 6 Gbps ports and a single SATA Express port rated at 10 GB/s which offers support for high transfer speed storage solutions. A USB 3.0 header is located to the right of these slots. In addition to the storage ports, there’s also Dual BIOS chips and a smart panel connector. There’s no fancy stuff like OC, Power On/Off, Reset switches aside the regular CMOS clear jumper which is a bit let down but this much is expected given the pricing of the motherboard. Expansion slots include two PCI-e 3.0 x16 (x8/x8 electrical), 1 PCI-e 2.0 x 16 (electrical x4) 3 PCI-e 2.0 x1 and a PCI Legacy slot. 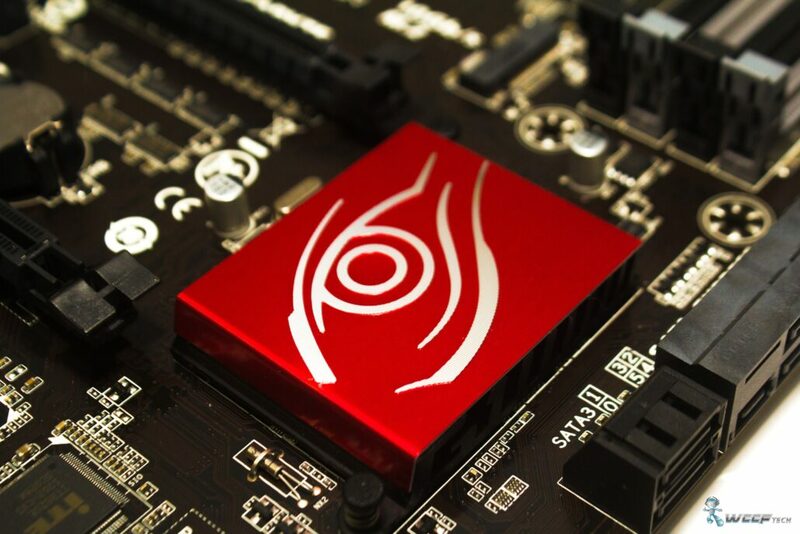 The board comes with AMD CrossFIreX and NVIDIA SLI Multi-GPU technology support. The first PCI-e 3.0 x16 slot runs at the advertised speed while the second PCI-e 3.0 x16 slot runs at x8 speed. The single PCI-e 2.0 x16 operates in x4 speed but the rest of the PCI-e x1 slots will become unusable when using a add-on card in the x4 expansion slot. At the top of the expansion slots is a single M.2 SSD slot which is able to support Intel’s next generation form factor (NGFF) solid state drives. Featuring up to 10 GB/s data transfer speeds, the slot allows for high-end storage usability. By taking off the VRM heatsinks, we can note that the Z97X-Gaming 3 makes use of a 8 Phase power design featuring Ultra Durable 5 components which include all Solid Caps (Capacitors) and Low RDS(on) MOSFETs which are rated to work at higher temperatures to provide a longer lifespan. 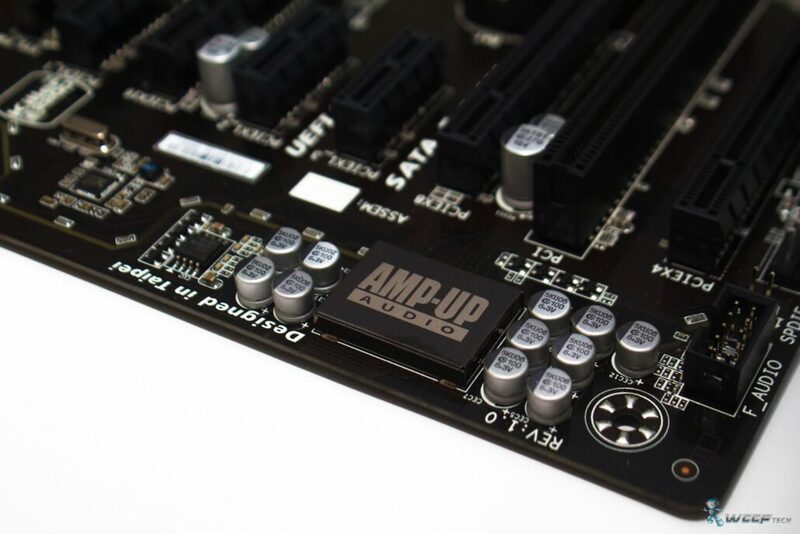 Last up is a closer look at the AMP-UP Audio which has a PCB that is isolated from the rest of the board. The ALC1150 is a high-performance multi-channel High Definition Audio Codec that delivers an exceptional audio listening experience with up to 115dB SNR, ensuring users get the best possible audio quality from their PC. GIGABYTE motherboards utilize a high-capacity amplifier which is able to drive 600Ω loads, giving gamers a fuller range of dynamic sound with crisper details and less distortion when using high quality professional headphones. 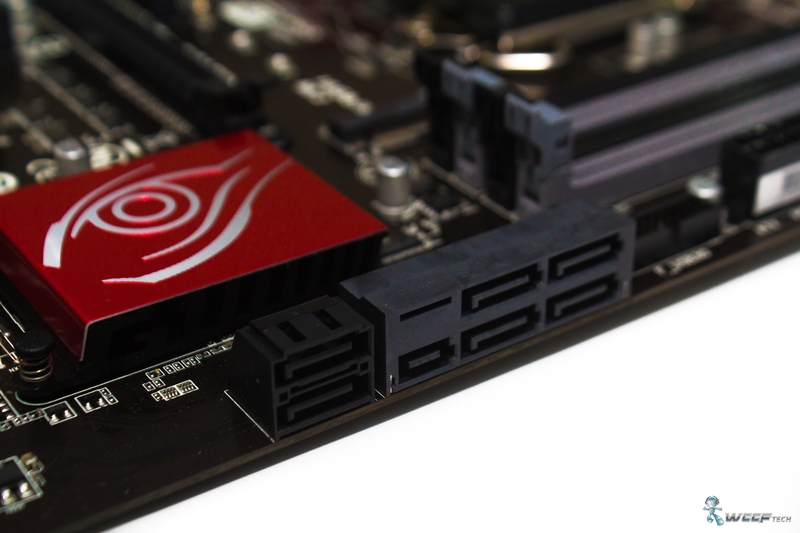 Being a Gaming series product, we were expecting a variety of I/O ports on the Z97X-Gaming 3 motherboard. It comes with a two PS/2 ports (1 x PS/2 Keyboard, 1 x PS/2 Mouse), VGA, DVI, HDMI display connectors, 4 USB 3.0, 4 USB 2.0, 1 x Killer E2200 powered LAN, 6 Channel Audio Jack (Powered by the ALC1150 audio codec) and an S/PDIF out port. 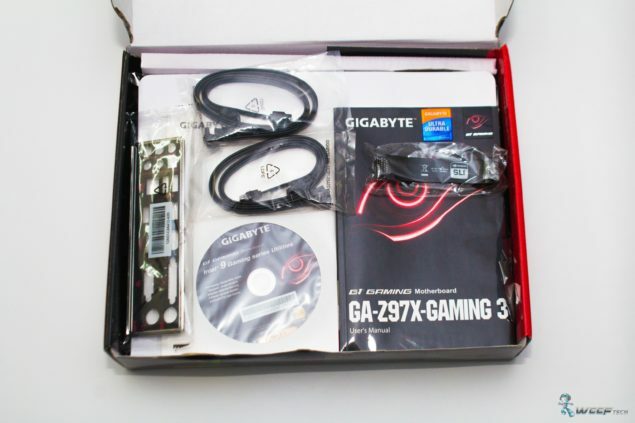 The Gigabyte GA-Z97X-SOC Force is shipped with the usual accessories which includes a Driver DVD, Driver’s Manual, Setup Guide book, four SATA connectors, SLI Bridge, Gigabyte Ultra Durable Sticker, Gigabyte G1 Gaming Series Sticker and a black / red color I/O panel. 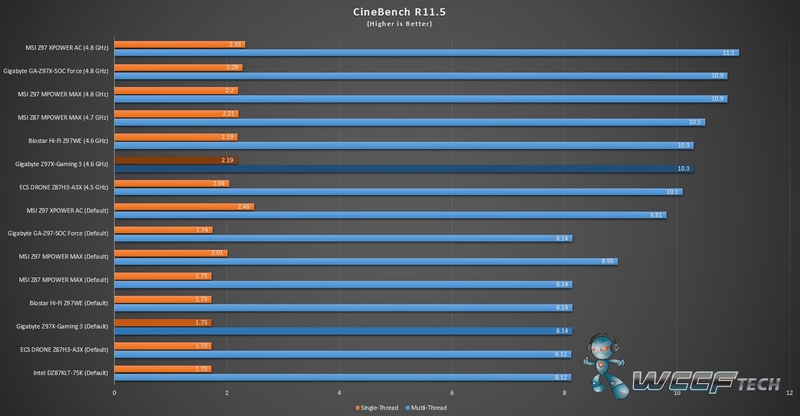 Gigabyte retains their UEFI BIOS which we have already seen in our Z97X-SOC-Force motherboard review. Although the UEFI BIOS works well with the Z97X-Gaming 3 motherboard, the orange and black color scheme doesn’t goes well with the red and black color scheme of the G1 Gaming series products as it does with the OC lineup, but the color doesn’t affect performance and is more of an aesthetic issue. 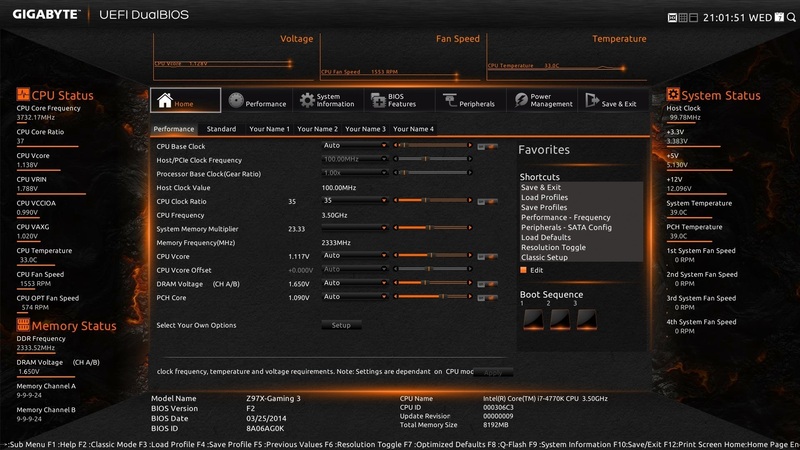 The Real-Time Overclocking UEFI BIOS features the black and orange color scheme like the board and runs at full-HD resolution of 1920 x 1080P offering a seamless experience providing enhanced set of details for users to tune and look at while overclocking the motherboard. 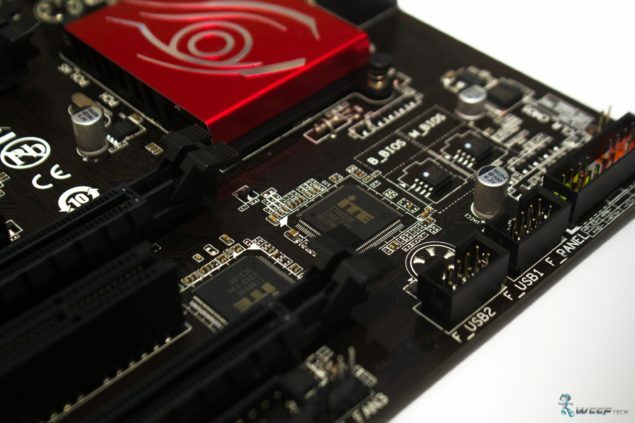 Gigabyte kept their previous Z87 series BIOS intact and they have re-used it in the Z97 series since it still looks fresh and offers a lot of tools for configuration and settings. *(The overclock was stressed for 1 hour which is enough to tell whether it was stable or not for testing). Battlefield 4 is the latest installment in the Battlefield franchise. Developed by DICE and published by EA, Battlefield 4 takes multiplayer FPS to the next level unleashing new levels of destruction and the game changing LEVOLUTION. 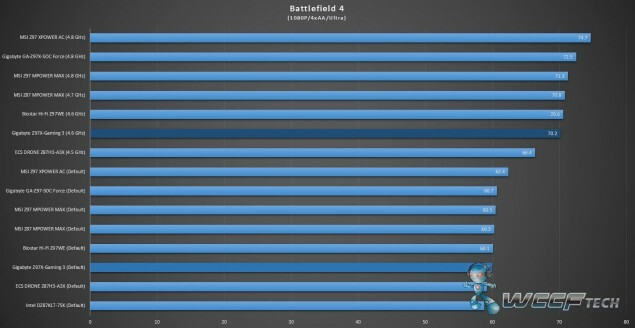 Battlefield 4 is a true next generation experience on the PC rendered with the power of Frostbite 3 which features stunning DirectX 11.1 effects and Tessellation which only a few games dare to match. In addition to the engine, Battlefield 4 would also be the first to support AMD’s latest Mantle API which will leverage the game performance on AMD hardware. 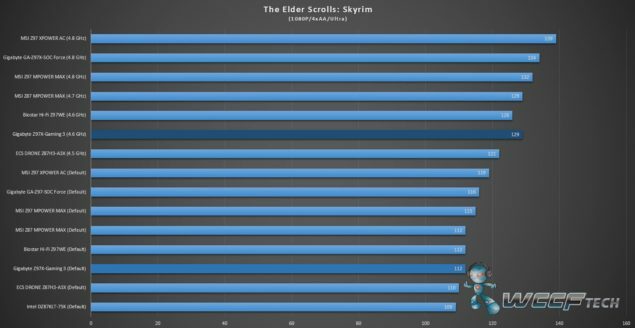 Bethesda released their Elder Scrolls Skyrim in 2011 and the hype level shattered the roofs. The game was met with wide success and is built with the latest Creation engine which meant a farewell to the much older game bryo engine from Bethesda. The game has one of the most biggest and well crafted world ever created. 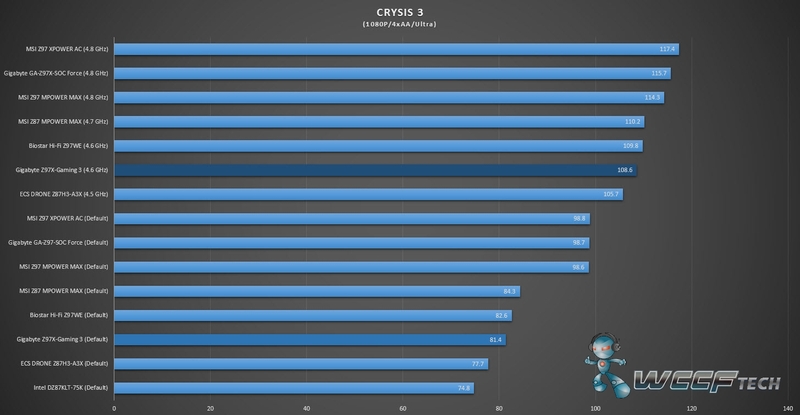 The game requires a good CPU for stable performance, most GPUs can handle the game well. 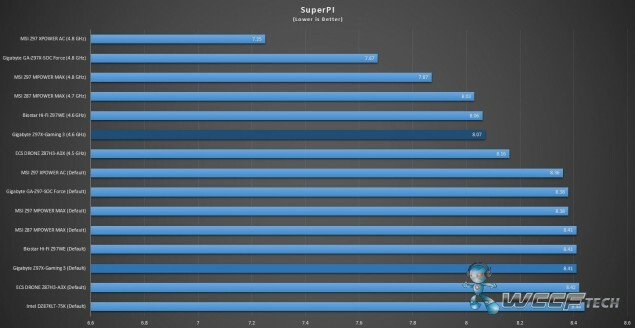 It wasn’t until users started pouring in their custom content and mods for the PC version such as high-resolution textures and more which required GPUs with higher VRAM for adequate performance. Skyrim is known as one of the reasons by PC gamers for GPUs with higher VRAM. 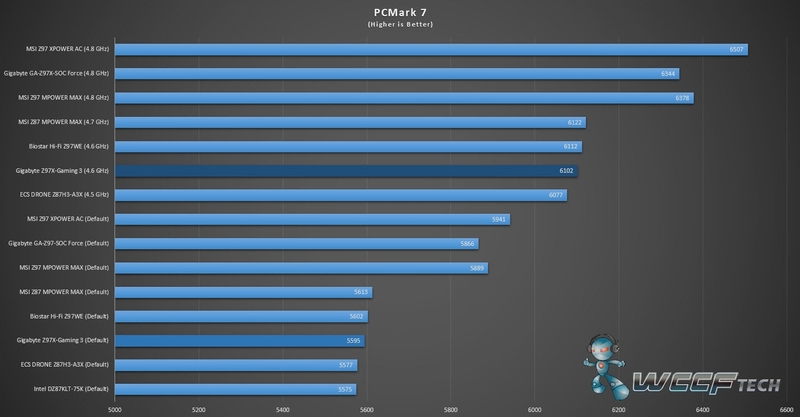 On the temperature side, we see that the Haswell Core i7-4770K has temperatures similar to the Core i7-3770K at default settings but as soon as its overclocked, the CPU pushed around the 75-85C even with the top-end air cooler available in the market (Phantek’s PH-TC14 PE). This is due to the low quality TIM used beneath the heat spreader rather than flux less solder. This is a similar issue as faced on Ivy Bridge so expect higher temperatures when overclocking. A water cooling setup is recommended for 24/7 overclocked usage. 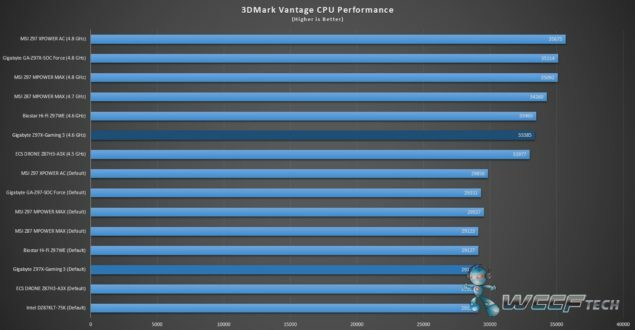 This issue has been fixed with the release of the latest Devil’s Canyon processors and we will soon have a review on the CPU ready. The heatsinks featured on the Z97X-Gaming 3 aren’t of the top most quality and the overclock we achieved should be the most one should expect from this product. Given its price and positioning, we will consider this a good overclock and an All-In-One liquid cooling solution should be preferable along with some additional case fans if anyone is going to do overclocking on this board. The Gigabyte Z97X-Gaming 3 is a gaming motherboard first so we take a look at what it has to offer in this department. The Killer E2200 LAN chip from BigFoot and that added AMP-UP audio technology which delivers high-quality audio (115dB Signal-to-Noise ratio (SNR) playback (DAC) quality and 104dB SNR recording (ADC) quality) are well additions to this scheme. Gigabyte had to make compromises in the OC department of this product but it lacks nothing and all the basic I/O, storage features are available. Availability of both M.2 SATA and SATA Express ports is welcomed to drive high performance storage devices. The board supports both NVIDIA SLI and AMD CrossFireX which will allow users from both camps to found this a nice low cost solution for Haswell and beyond. For overclocking, the board has some drawbacks due to the low-quality heatsinks used on the VRMs but it can still drive a Haswell chip to 4.5 – 4.6 GHz with some adjustments provided you have the adequate airflow inside your PC casing for which you will need to purchase extra fans. The board does have several fan headers so there’s no need to worry when equipping multiple fans in addition to the main CPU cooler. 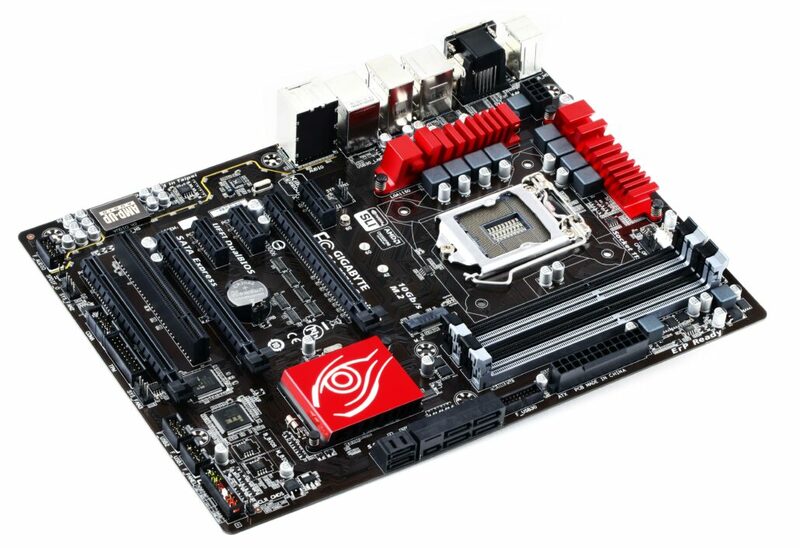 The thing I loved the most about this motherboard is that it kept its design diverse while retaining the red and black color scheme which almost all other manufacturer is following on their gaming series lineup. 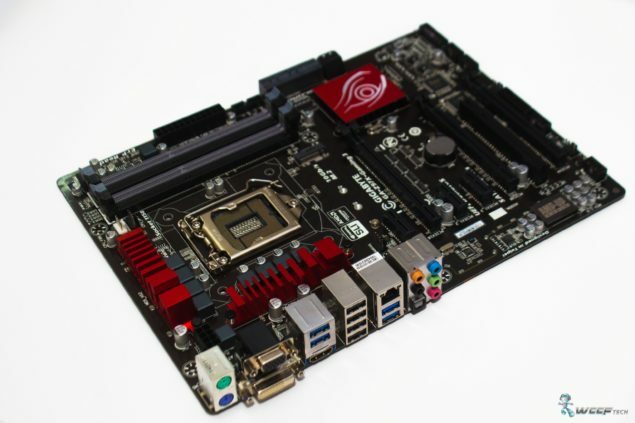 The Z97X-Gaming 3 from Gigabyte lacks nothing and is a well-built, low-cost motherboards designed for gamers and mainstream users who are aiming to upgrade to Haswell, Haswell Refresh or the next generation Broadwell processors.